The regular season has just ended and all eyes are now at the playoffs. And the competition has been very tight so far. But our Euroleague 2018/2019 winner odds are showing that Real Madrid will win the title again. 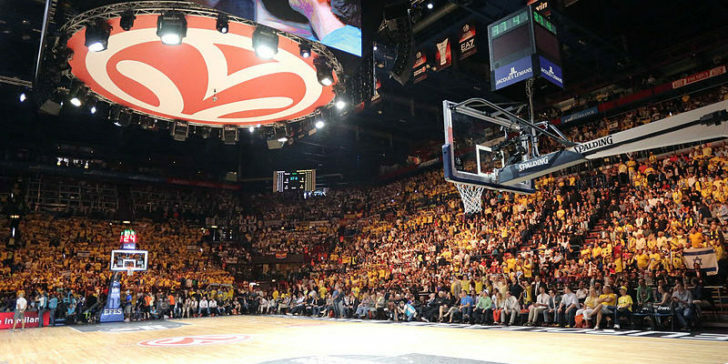 The Euroleague is not as famous as the NBA. Still, it has been a good starting point for many players that are then drafted to North America. And through the years, it has provided great matches to European audiences. It is the second-most popular indoor sports league in the world. Since the 2016/2017 season that 16 teams play 30 games in the league, in a regular season format. In the end, the best 8 teams on the table advance to the playoffs and the winners go on to play in the Final Four. This year there are no surprises at online sportsbook sites in Spain, as the top 3 teams likely to win the championship game showed superiority during the regular season. And they have, indeed, been dominating the last few years of the league. Before you make any decision, don’t forget to check our latest review about Unibet Sportsbook. Real Madrid Baloncesto mirrors the success of the club’s football team, as it is historically the best basketball team in Europe. And this year they are playing to defend their title of the Euroleague. Real Madrid finished the regular season 3rd on the table, which is better than their last year’s 5th place. This is the reason why that the team has good chances of shining in the playoffs, even if the squad will miss some of its best players in the next meeting, such as Sergio Llull and Felipe Reyes. But the head coach Pablo Laso – who in 8 seasons won 16 trophies for Real Madrid – will definitely find a way out and will be able to count on other incredible players such as Anthony Randolph. Before Laso took the lead of the team, Real Madrid didn’t win a European title for 20 years. In March, they won Fenerbahçe, proving that they can repeat the same victory of last year’s final and add their 11th title to their honors. Real Madrid’s odds are 4.50 at Unibet Sportsbook. PBC CSKA Moscow is the best Russian team in basketball and they have been seeing a revival in Europe since the beginning of the 21st Century. After years reaching the Final Four, the team was finally able to win its 7th title in 2016. Last year, they finished the regular season in 1st place. Now, the team wants to bring the regular season’s success to the playoffs again, which is very likely to do especially with players like Nando de Colo, who is one of the best players in the league. He will be coming back from an injury and will definitely help CSKA Moscow go further than last year’s semifinals. This season, he became the 9th best scorer in the league’s history, taking the place of the Slovenian legend Jaka Lakovič. In this way, CSKA Moscow’s odds of becoming the champions are 3.50. Fenerbahçe Beko had the most successful regular season since the beginning of the new format, setting a win-loss record (25-5). This was proof that the team is committed to revenge last year’s loss in the final against Real Madrid. Since Željko Obradović is the team’s coach, that Fenerbahçe has reached 3 finals in 5 years, with one victory on the league in 2017. And this season, they haven’t lost a single game at home. Additionally, Fenerbahçe has one of the most efficient offenses in the competition, shooting the ball much better than any other team. This is why that Fenerbahçe has the highest chances of winning the Euroleague. The team’s odds are 2.50 at Unibet Sportsbook. Bet on the EuroLeague Winner with NetBet Sportsbook! NBA vs. EuroLeague Betting: Which has Better Odds?